Europe is experiencing the arrival of unprecedented numbers of refugees desperately seeking safety from violence and conflict around the world. The number of displaced people forced to flee their homes is the highest since the Second World War. The war in Syria, which is currently the number one driver of displacement in the world, is the biggest cause of the accelerated influx of refugees. The latest figures show that since the start of this year, more than 500,000 people have crossed the Mediterranean to flee war, persecution and violations of basic human rights. Refugees from nations such as Syria, Iraq, Afghanistan and Sudan have taken life-threatening journeys to reach Europe. Almost 3,000 have died at sea. Hundreds of thousands of people are in desperate need of emergency relief. The Red Cross is present in all European countries, and is currently undertaking emergency operations in Greece, Italy, Macedonia, Hungary and Serbia. Red Cross volunteers are providing refugees and migrants with essential relief items such as food and water, first aid, clothes, shoes, hygiene-kits, medical and psychosocial support, as well as assisting refugees to restore family links. As part of the on-going partnership with the Red Cross, DNV GL has established an employee donation campaign for those who wish to contribute to the emergency relief efforts for refugees in Europe. 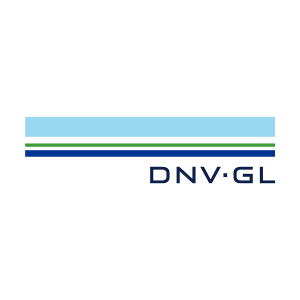 The initial campaign ran from 15 September until 29 September, and DNV GL employees donated 141,163 NOK, with funds matched by DNV GL. In total, 282,326 NOK was raised for the relief efforts. Thank you to those who contributed! The official campaign is now closed, but the need remains. If you would like to contribute to the relief efforts, you can still donate here until 15 October. Funds raised after 29 September will not be matched by DNV GL, but will still make a difference.